Hardwood floors have become a classic look around the world for centuries, and Melbourne is no exception. They are probably the most visible and vulnerable blend of form and function in any house. Over time, they inevitably take a beating; and when that happens homeowners usually decide between refinishing what’s there or covering the floors with something else. At Hartnett Flooring, we can tell you that there’s more than one way to refinish your floor. The kind of refinishing a hardwood floor needs depends on how much wear or damage it has. Floors that are merely scratched or scuffed usually require little more than a new finish to restore their former beauty. However, if your wood floors are severely scratched or stained, including if the finish has worn through to the wood itself, this requires some more work. In these cases, the old finish may need to be completely removed and the surface sanded smooth before a new finish can be applied. We usually advise our customers to avoid sanding down to bare wood unless it’s absolutely necessary. All wood mellows with age, and the grains in good quality hardwood become accentuated over time. If that’s sanded back to a plain surface, a lot of beauty is lost. 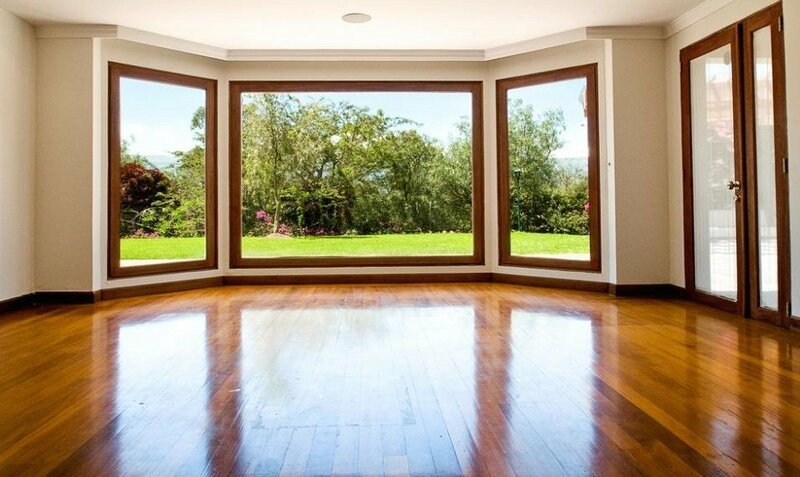 In other words, if the floors are not damaged to the point where the surface is completely worn down to the wood, we typically recommend just a light sanding (a.k.a. “screening”) on the surface coat without sanding right down to the wood. The goal is to abrade the finish without taking the wood surface apart. We recently had a call where the owner rented a floor sanding machine and tried doing the job himself (for the first time). He didn’t get the result he wanted: the sanding machine didn’t get in the corners and edges of the room and the sanding wasn’t even across the surface. By the time we got there, the damage had been done. Of course, the floors were salvageable and he was happy with the final result. But it was unfortunate because the sanding we too rough and took away more of the wood than was necessary. But not every D.I.Y. job fails. Some people find joy in renovating and repairing their own homes. A recent article in The Australian talked about the obstacles and challenges a couple faced when renovating their own home – hardwood floors included. They spent a huge amount of time (and money) on their project, but enjoyed the satisfaction of finally seeing it done. If that doesn’t sound like you, no problem – we’re here to help. After screening, one popular option is to apply a waterborne polyurethane – it’s odourless, quick-drying, and thin enough to conform to the texture of the wood. You can even build up three coats for more protection and still have a feel left for the surface of the wood. There are, of course, many more options depending on your needs and the final look you want to have. Call us for advice and a quote. We’re here for all your flooring needs. What a great article – very informative. I was considering sanding my timber floors myself, but there doesn’t seem to be much cost savings.